Been playing around with this idea for quite some time, as looking for a superior alternative to the Xbox1 X. Has anyone gone down this road using latest hardware? Like to see your comments about the experience and trials! What OS is best? Does Win10 lend itself or better off with Win8 media player? What type of TV tuner? What about "front end" interface? May be more to consider, but keep in mind I'm looking at using recent hardware not retro stuff. I've tried all sorts of things - Xbox 360, PS4, Raspberry Pi. What I've been most happy with is a cheap Windows8 laptop - been using it for years. Totally silent, easy to control via cheap logictech wireless keyboard / mouse unit, runs everything - Kodi, Netflix app, anything you can use via the browser. And it's such a low power option that I just have it on all the time, so there's zero waiting for it to boot, etc. And of course it's a proper PC, so I can browse the web to read reviews, etc. It's also great for when we go on holidays - I just unplug it and chuck it into the luggage. Windows 8 also lends itself well to working on the telly with that home screen tile thing. I won't go into why the others fell short but they all had at least one thing that bothered me and made it unworkable for the family. A powerful Android box like an NVidia Shield is excellent for this role. The Wetek Hub offers similar compatibility but is a little less smooth on startup (works fine though). Coupled with something like an air mouse, both devices are very flexible but much more carefree and appliance like than a full blown PC. Nothing offers me what a simple Openelec install on a Pi3 cant. I swear by Pi for HTPC beeds. A friend of mine recently built a MITX APU build utilizing a $60 FM2+ A10-6700. He originally went with an A6 dual core and found some almost unnoticeable stuttering and swapped them out. ODwilly wrote: A friend of mine recently built a MITX APU build utilizing a $60 FM2+ A10-6700. He originally went with an A6 dual core and found some almost unnoticeable stuttering and swapped them out. Is there any point to this anymore now that you can have a Ryzen 2200G for $99? I built it several years ago, so it's a bit old school, event retroish but still kicks considering the purpose of its existence. - Frisby FC-S6035B small footprint case. It's an important starting point, since I had the space for HTPC already fixed, so it needed to be fit in it. I positioned it horizontaly, it came with spongy self adhesive tabs thick enough to do that. It also came with a 300W PSU, integrated front panel SD card reader, and a 80mm caged fan. Can hold 1 x 5.25", 1 x 3.5" and 1 x 2.5" drive. It's dimensions are 99 x 390 x 305 (mm). I'm pretty happy with it, apart from flimsy construction, which is actually true for many other contemporary cases. It was a low budget project, so almost all the other parts are collected from secondhand shopping sites or was already available on hand. In short, I was not that picky. No TV card, since my TV has Integrated satellite capability and I have membership for a local pay TV service. I'm using that rig for KODI, youtube etc. streaming, streaming digital content of my pay TV service from the net, playing bluerays/DVDs (rarely - when I need extra subtitles), video capturing (rarely) and of course as a PC. There is not much problem of excessive heating (no additional fans other that the one it came with but I changed it with a better and silent model). Of course it is hotter than my 6 fan main tower rig, but still acceptable and stable. I have plans for increasing it's RAM to at least 8GB and installing an 64 bit OS for the near future (Windows 7 again, most possibly). Well the parts are super cheap, and this was around December or earlier before all the low-end Ryzen APU chips dropped. Just saying you really dont need anything very intensive for a HTPC, any quad core with any sort of HD capable graphics. We ended up going with Windows 10 after struggling and failing with work arounds for HBO streaming and the Ubuntu version of Firefox. I guess from the responses that it's common to pick hardware w/o gaming in mind? I was thinking about building something in a shuttle case with the latest I7 CPU and a 1070Ti GPU for an "all in one" solution. Also thinking of building a "lap table" for kb and mouse for some FPS sessions on the couch or lazy boy chair. - Recent devices can play high-bitrate h265 and VP9 at 4k too (some even at 60 frames-per-second).. so you're relatively future proofed too. Getting more specific, it looks like S905-based devices are the current sweet spot. There's a fantastic forum thread here spanning the last ~6 months with active posts as of a couple hours ago! ^-- This, although support for Netflix HD is something only available on a handful of devices. buckeye wrote: I guess from the responses that it's common to pick hardware w/o gaming in mind? I was thinking about building something in a shuttle case with the latest I7 CPU and a 1070Ti GPU for an "all in one" solution. Alienware has a small footprint setup, which could be a Xbox1 X/PS4 alternative, I wonder if it's limited too as far as upgrades. Surely you can beef up the hard drive at least I assume. I have had four main HTPCs over the years, but didn't really set them up for proper gaming. 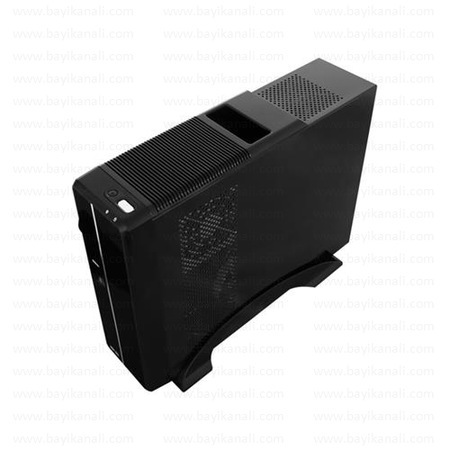 1st - a Atom ITX, great for 720p content at the time, 1080p was a no go. 2nd - an Atom with Nvidia ION gpu, much better than above. Started to struggle with streamed content, killed off as I wanted to do some lightweight gaming. 3rd - i3 3220 + Nvidia Gt 640. Perfect and very flexible, just took up a wife unfriendly amount of room. 4rd - Raspberry PI's 2nd/3rd Gen, did a great job, H265 content killed these off. 5th - Amazon Fire TV Gen2, Kodi and a load of Emulators side loaded, access to Amazon video and netflix. Only slight downside at the moment is the YouTube problem and Amazons slightly clunky fix. The Fire TV is great, if not fussed about PC games on it obviously, shame the newer models got rid the LAN port etc. For gaming on the TV I use a high-end laptop and just plug that in, leaving the media tasks to something the family can use and abuse. Setting up an HTPC is a very subjective and personal experience. You'll want to choose hardware components that will interface well with your TV, receiver, speakers, etc. For example, I have an old 5.1 receiver that doesn't have any VGA, DVI, or HDMI connections. For video, I run DVI-out on my HTPC to HDMI-in on my TV. For audio, I run optical s/pdif to the receiver and bypass the TV's audio and speakers completely. I also have a Blu-Ray player and VHS player too, so I had to make sure I had the correct inputs, outputs, and cables to get everything working together. My VHS player is from the late 90s. My 5.1 receiver is from 2004. My HTPC is circa 2011-ish. The Blu-Ray player and my TV are modern, about 2015-ish. Getting all this stuff working required some planning. I think I'll be adding a USB 3.0 PCIe adapter soon. I like Windows 7 Pro for this HTPC because it includes Media Center. I didn't use Windows 8 because I hate it. I'm trying to avoid Windows 10 for the same reason. I also like that this is a full, real computer. I live alone, so there's no need for my HTPC to have a simplistic user-friendly 10-foot interface. Win7 works for me, but if my girlfriend needs to use it she can use my HTPC remote control to quickly bring up Media Center for that user-friendly interface. The big green button makes it easy. The most demanding game I run on this PC is Alan Wake. Previously with an E6850, the game stuttered a bit. After upgrading to the E8600 it runs perfectly at 1360x768. So far this computer meets all of my HTPC and living-room-gaming needs. While it can't run many newer games, it excels at most pre-2014 titles. I recently completed Oxenfree on this HTPC and it ran perfectly. It's also quite good for running emulators. If Microsoft ever kills support for Media Center, I'll have to consider switching to Kodi or something. If you're going to be doing any gaming with your HTPC, consider the convenience of gamepads. Get good ones with both Direct-Input and X-Input support. I find the Logitech F310 to be an inexpensive and good choice. Gaming with a keyboard and mouse is possible, but you'll probably want to find a good lapdesk (the Steiger seems like overkill) and wireless keyboard and mouse to make it a non-frustrating experience. I use a Logitech M510 mouse and an ancient Gyration wireless keyboard that is starting to have issues. The JETech Ultra-Slim wireless keyboard will probably be what I get to replace it. DO NOT get a bluetooth keyboard or mouse if you will be doing any gaming. Input lag and other issues will quickly annoy you. DO GET either a white keyboard or one that is backlit. Unlit black keyboards make typing in dim living rooms a challenge. Here's the lapdesk I use. It won't accommodate a full keyboard and mouse, so that's why I use the old Gyration keyboard. It's also why I'll be replacing it with another small keyboard. KT7AGuy wrote: Setting up an HTPC is a very subjective and personal experience. You'll want to choose hardware components that will interface well with your TV, receiver, speakers, etc. For example, I have an old 5.1 receiver that doesn't have any VGA, DVI, or HDMI connections. For video, I run DVI-out on my HTPC to HDMI-in on my TV. For audio, I run optical s/pdif to the receiver and bypass the TV's audio and speakers completely. I also have a Blu-Ray player and VHS player too, so I had to make sure I had the correct inputs, outputs, and cables to get everything working together. My VHS player is from the late 90s. My 5.1 receiver is from 2004. My HTPC is circa 2011-ish. The Blu-Ray player and my TV are modern, about 2015-ish. Getting all this stuff working required some planning. Nice well thought out setup! Love the Silverstone cases, they're high-dollar though. As far as a "lapdesk" I'm probably going fire up my cad program and draw up something homemade out of high quality wood. Appreciate all the great ideas from this post! I really like the idea of making your own lapdesk. I don't have the equipment or tools to do it, but my father does. This may become a summer project for us if he's willing to help. Looking at several different models, they're all basically just cut-out planks of wood with a bit of padding on the bottom. It can't be too hard to design something myself for less than $20 that will hold a full-size keyboard and mouse. Also, I built this setup on the cheap. I got the case, PSU, motherboard, DVD, and hard drive on craigslist for $60. The guy also included copies of retail WinXP Media Center 2005 and a 3-pack of retail Win7 Home licenses. After selling those on craigslist, I think I actually made about $30 on the deal. Last edited by KT7AGuy on 2018-4-17 @ 20:54, edited 1 time in total. That's what was thinking too, it doesn't have to be complicated just functional.